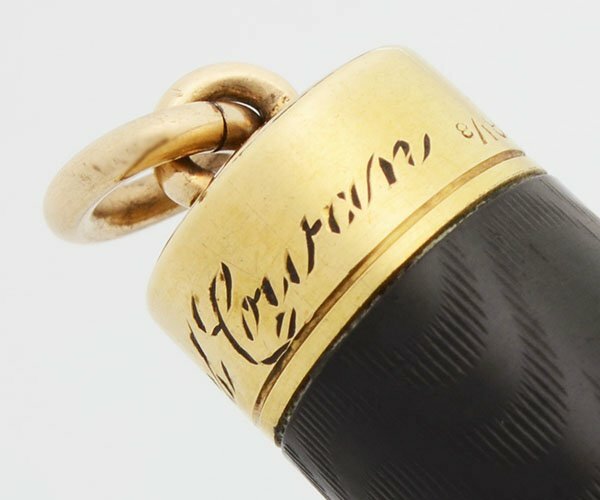 Vintage 1920s Wahl #2 Tempoint ring top fountain pen in excellent working condition. 3-11/16" in length, this is probably the smallest size. 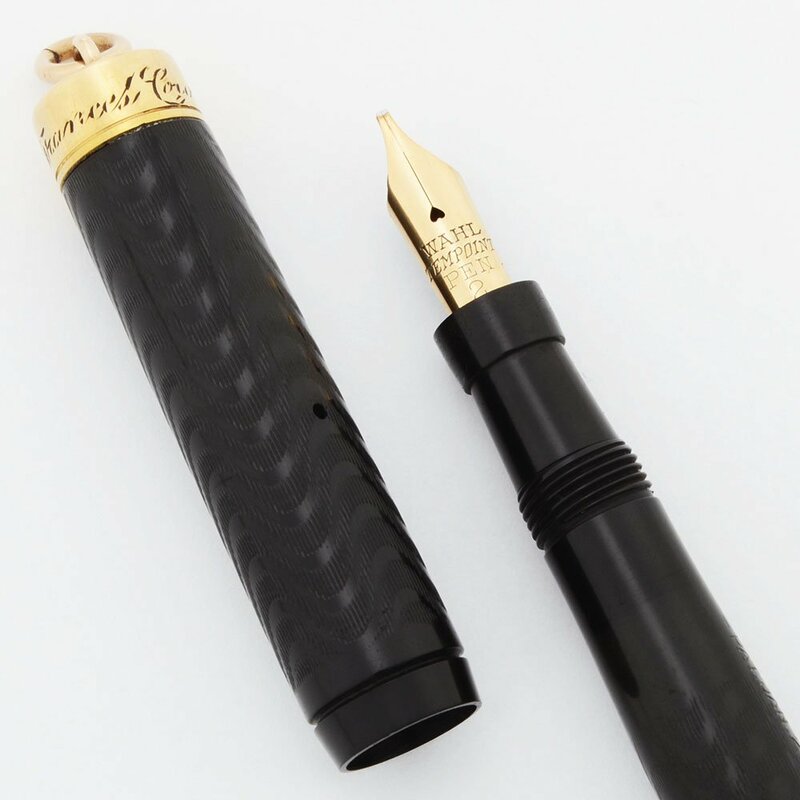 Eyedropper filler in black chased hard rubber with gold filled trim. 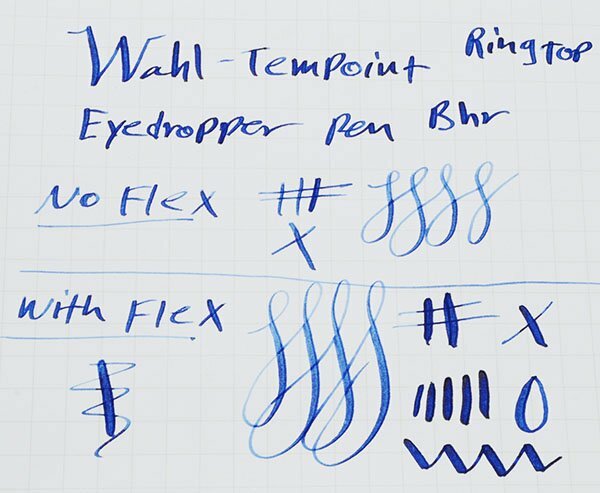 Wahl #2 Tempoint 14k flexible stub nib. Excellent condition. 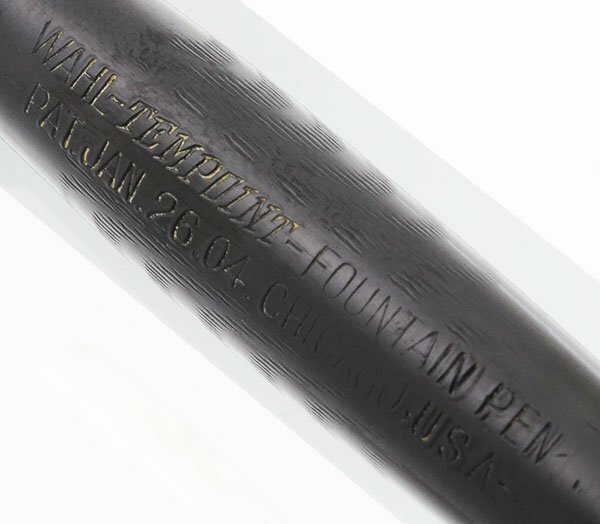 Product Name Tempoint #2 - the barrel is marked Wahl Tempoint Fountain Pen, and the end of the barrel is marked with a 2. Manufacturer and Year Wahl, USA, circa 1910s or 20s. Filling System Eyedropper filler. We've restored this pen with a new sac, and it's working well. Color Black hard rubber in a wavy chased pattern with (probably gold filled trim. Nib FLEXIBLE STUB Wahl Tempoint Pen #2 nib in good condition. It's got appropriate tipping, and is stubbed. Not quite full flex, but much better than average daily flex. You can get quite a bit of line variation from this nib, but it takes more pressure than some. See writing sample below. Condition Excellent condition. 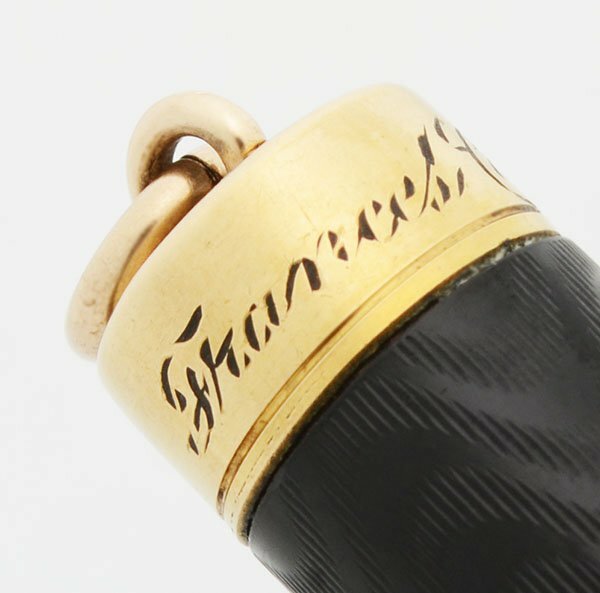 The pen is personalized with "Frances Cowan" engraved on the ring top band. The "2" mark at the end of the barrel is crisp and readable. 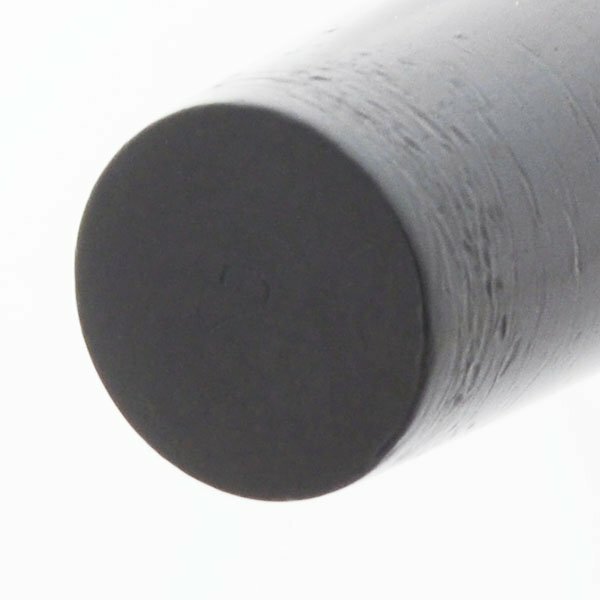 Other than some capping marks on the end of the barrel, there is very little scratching and wear on the pen barrel. There's some microscratching on the trim and a tiny bit of wear on the ring top. The hard rubber is a bit discolored to a lighter tone except for where the cap covers the barrel, and one band on the lower cap where there was probably an original sticker protecting it from the sun for a long time. No cracks or chips. The imprints are clear and readable.